Summer has well and truly arrived in Australia; in fact more than 10 million square kilometers of our land girt currently ablaze with bush fires. The days are long and understandably hot and, as per my Summer Manifesto pledge, I’ve been enjoying many dinners on my deck with friends. Saturday night was no different; after a last-minute attempt to go to the Moonlight Cinema failed we chose to throw some steaks on the barbie and enjoy the night breeze. To cap things off I whipped up this quick (only four ingredients), easy and super tasty Peach Galette for dessert and it was so good I thought I should share it. 1.Preheat oven to 200°C. Line 2 baking trays with baking paper. Place pastry halves on trays. Sprinkle with almonds. 2. Pat peaches dry with paper towel. Thinly slice. Arrange in two rows along each pastry half, leaving a 1cm border. Sprinkle peaches with white sugar. 3. Bake for 25 to 30 minutes or until pastry is golden and puffed. Dust with icing sugar. 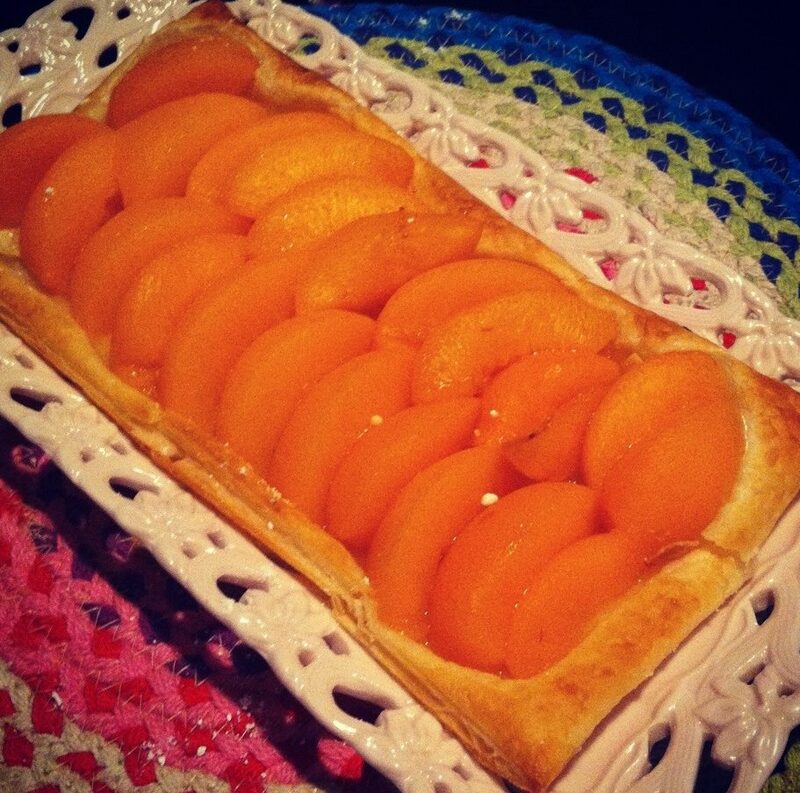 I chose to serve my peach galette with French Vanilla ice-cream however you could also serve with custard. Simple but beautiful Brookey! Would be gorgeous with a dollop of double cream! YUM! It’s delicious Em. Now I want to try one of those chocolate cookies you just blogged about!